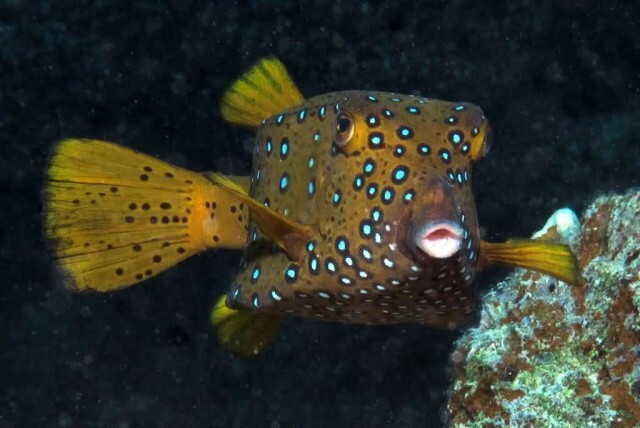 Boxfishes can be found in reefs throughout the Pacific Ocean and Indian Ocean as well as the south eastern Atlantic Ocean. It reaches a maximum length of 49 cm. As the name suggests, it is box-shaped. 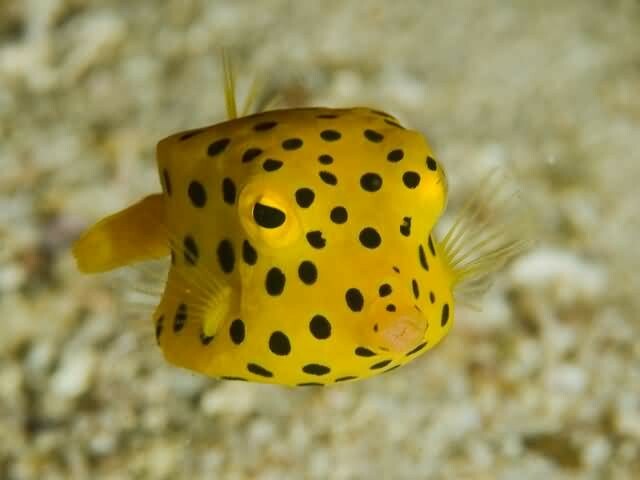 This fishes are bright yellow in color. The fish’s diet consists of marine algae, worms, crustaceans, mollusks and small fish. 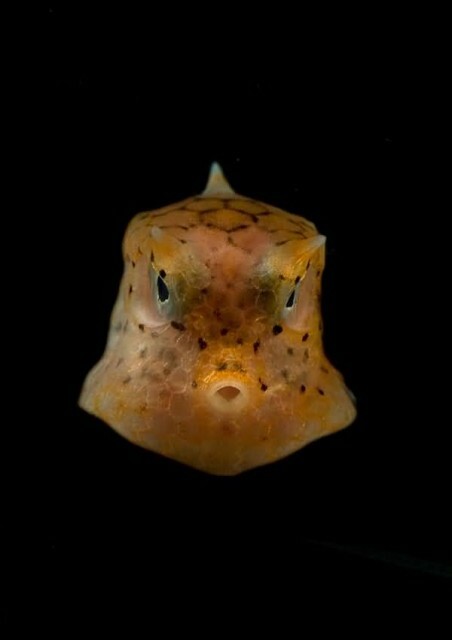 When these fishes are stressed or injured it releases poisonous proteins from its skin that may prove dangerous to any fish in the surrounding waters.